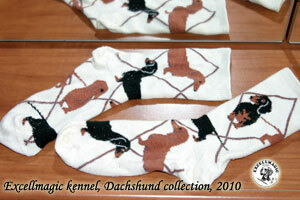 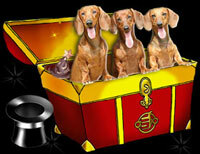 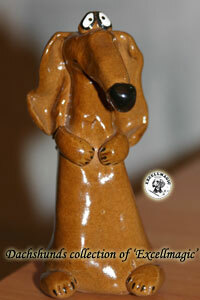 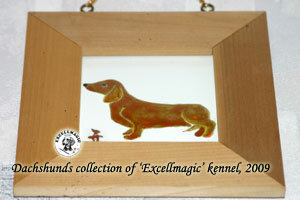 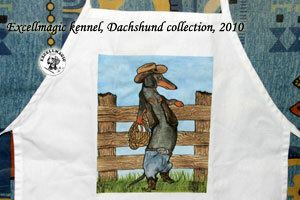 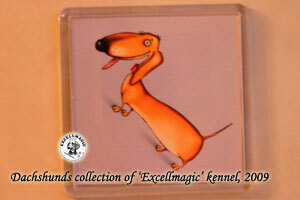 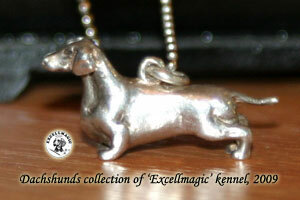 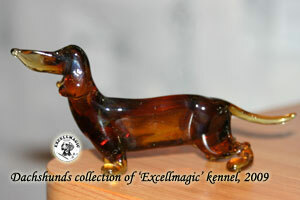 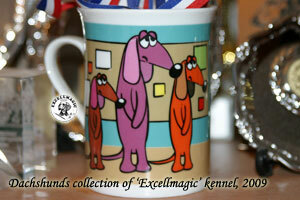 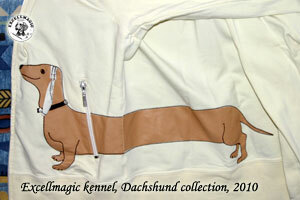 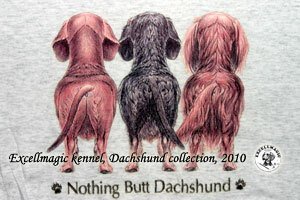 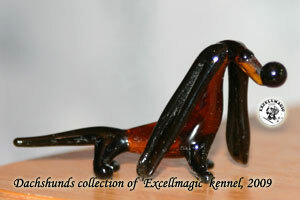 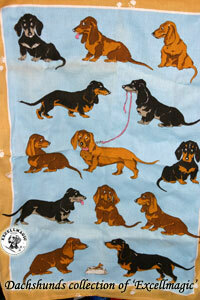 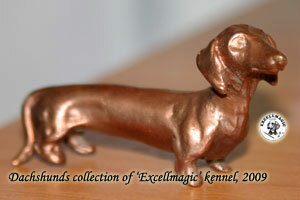 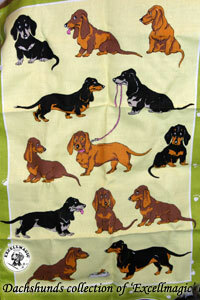 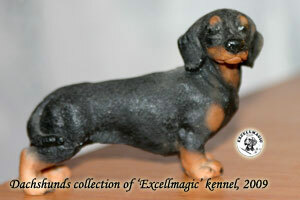 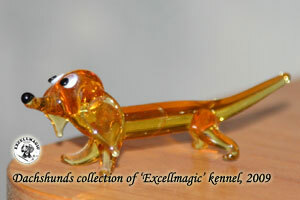 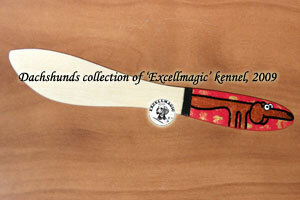 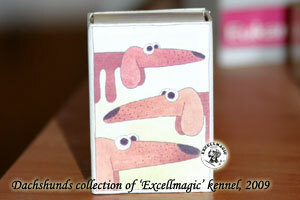 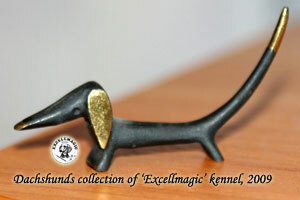 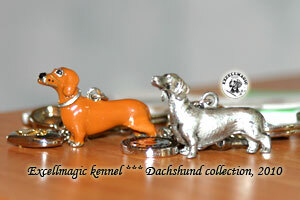 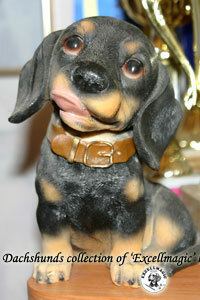 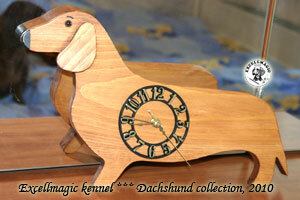 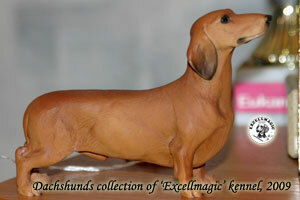 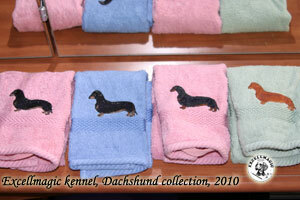 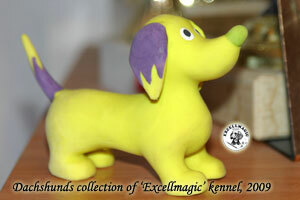 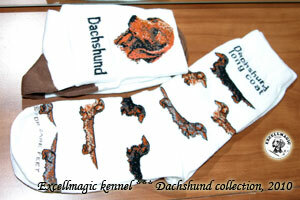 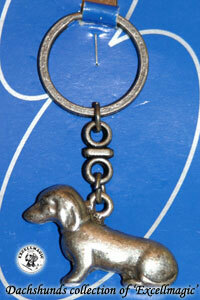 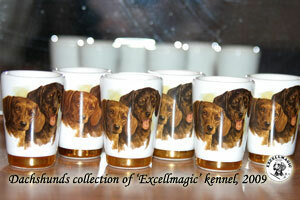 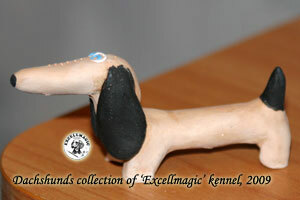 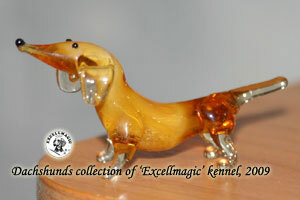 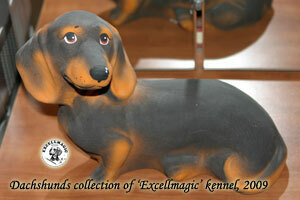 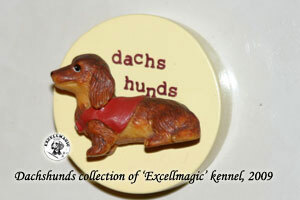 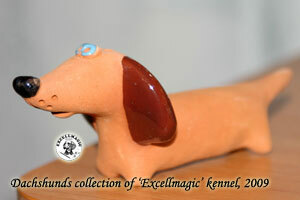 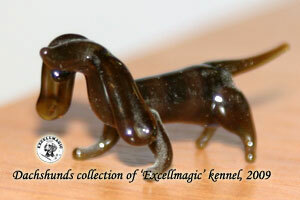 The most of Dachshunds was a present to me from my friends, family and work's collegs. 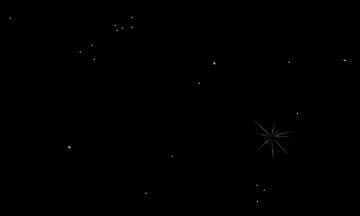 Thank you so much for it! 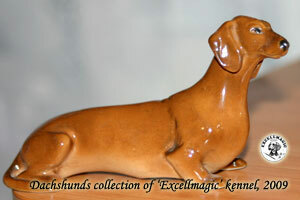 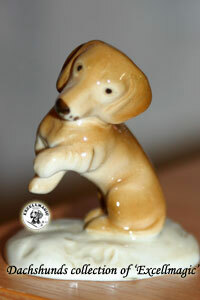 First dachshund in my collection, was a present to me from my Grandmother on my Birthday. 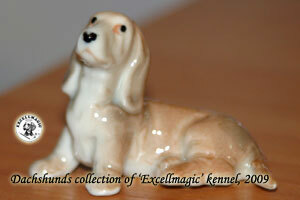 1994 The present to me from my Chester's breeders Clare and Kath Bethel. 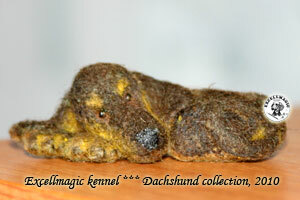 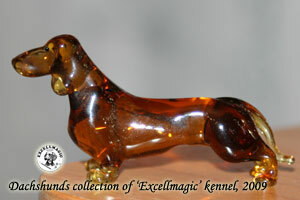 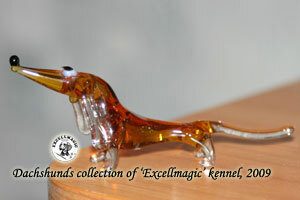 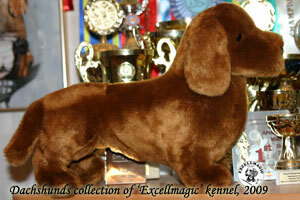 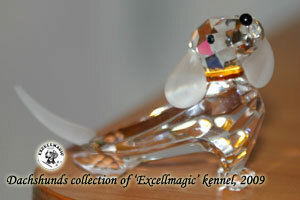 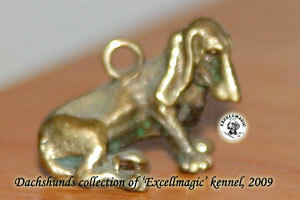 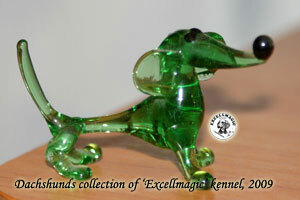 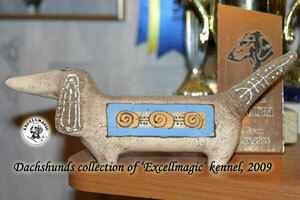 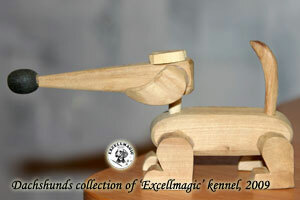 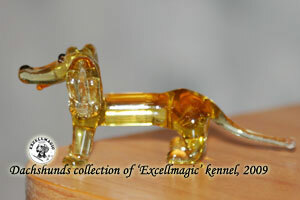 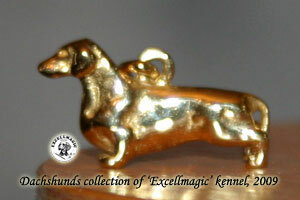 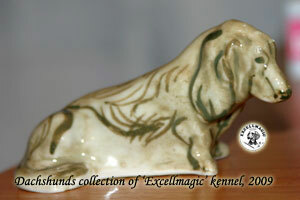 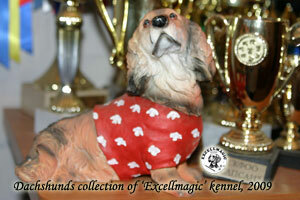 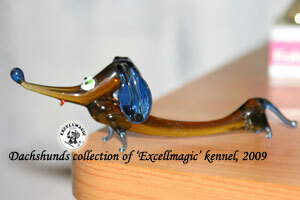 2006 This one I bought at European Dog Show (Tulln, Austia). 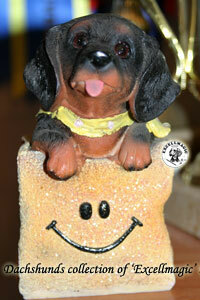 This is a present of my Chester from his first show, where is Chester got Best Baby In Spesiality Show. 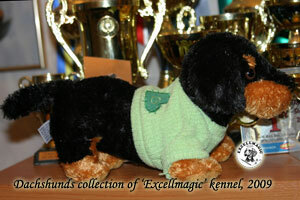 2006 This is a present of my Chester from his first show, where is Chester got Best Baby In Spesiality Show. 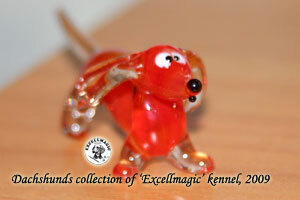 2006 This one is a present to me from my friends. 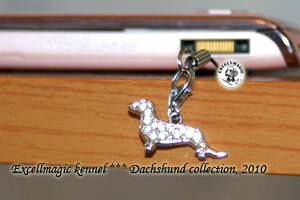 This one is a present to me from my friends. 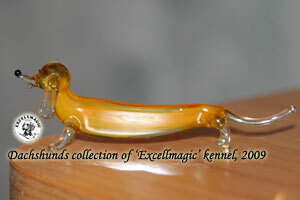 2007 This one is a present to me from my friends. 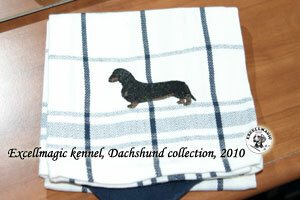 2008 This one is a present to me from my sister. 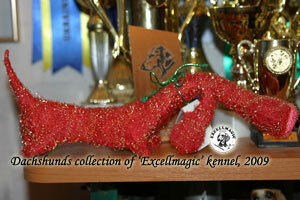 2005 They are a presents to me from my friends. 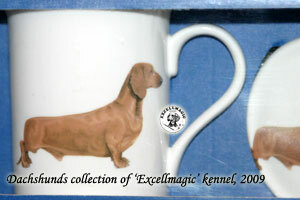 2005 This one is a present to me from my friends. 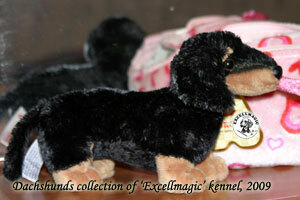 The present to me from my Chester's breeders Clare and Kath Bethel. 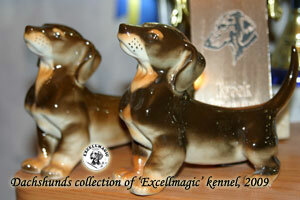 2006 The present to me from Natalia Tokareva, kennel of MS "Staer's". 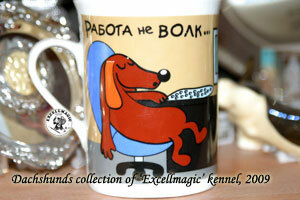 2009 The present to me from very good friend of my: Viktoria Pershina. 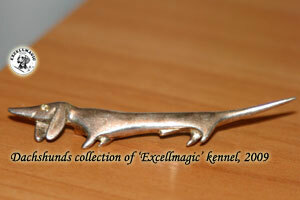 The present to me from very good friend of my: Viktoria Pershina. 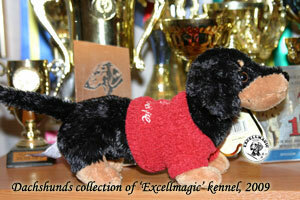 2009 The present to me from one person from my work: Maksim Bunyakin. 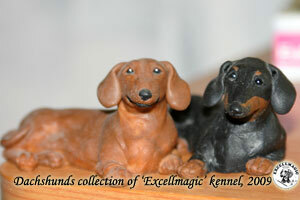 They are a present to me from my friends. 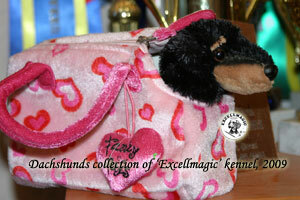 2006 This one is a present to me from my sister. 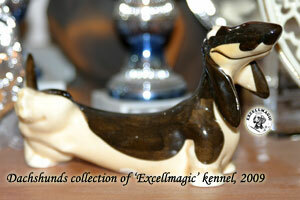 This one is a present to me from my sister. 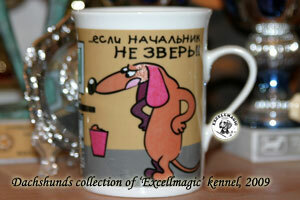 2006 This one is from Kiev, Ukraina. 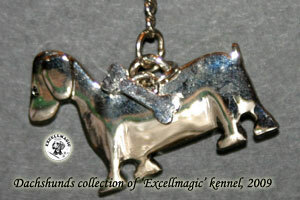 2007 This one is a present to me from my sister. 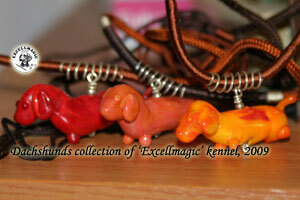 They are from Finland (Hand made). 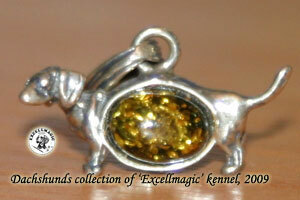 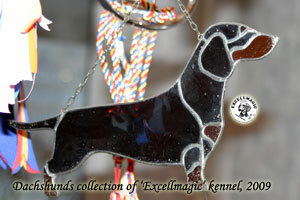 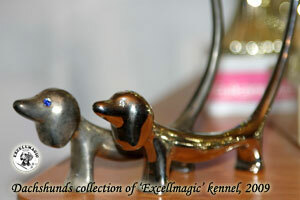 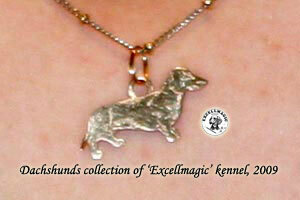 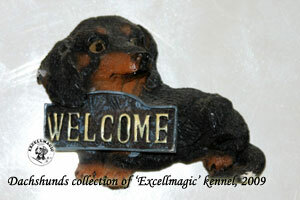 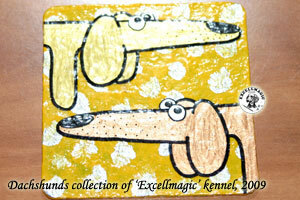 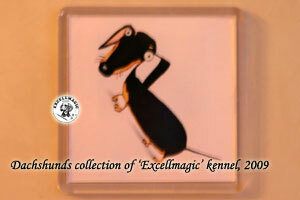 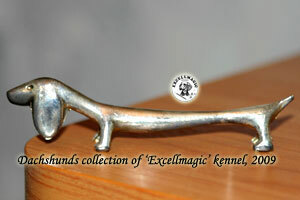 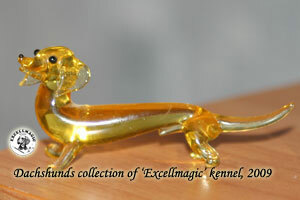 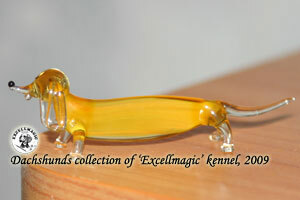 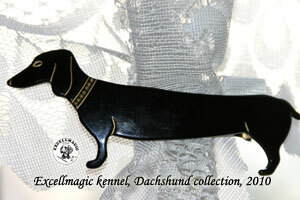 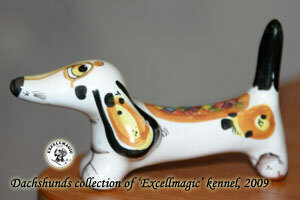 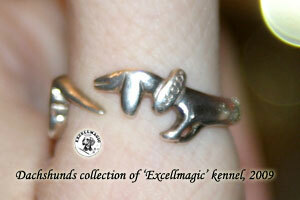 2008 This one I bought at DogShow in Moscow. 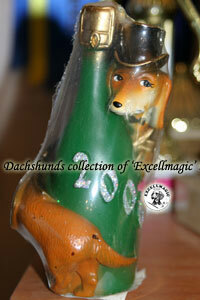 2000 This one is a present to me from my friends. 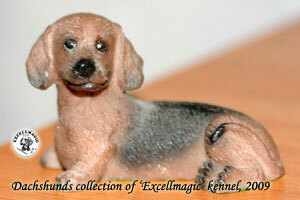 1998 This one is a present to me from my friends. 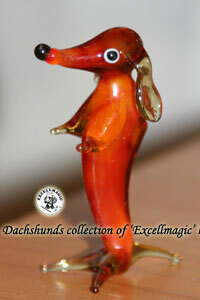 This one I bought in Prague,Czech Republic. 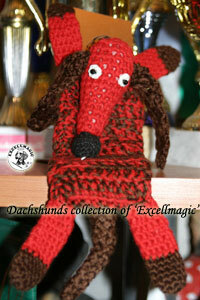 This one is a present to me from my friend Stasia Bibik. 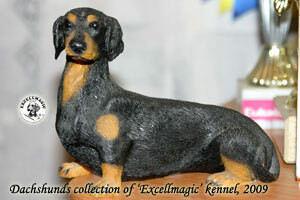 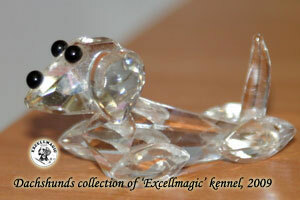 2003 This one I bought at European Dog Show (Tulln, Austia). 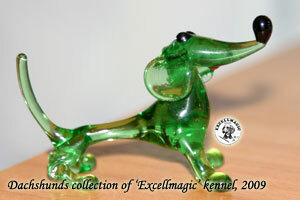 2005 This one is a present to me from my friends. 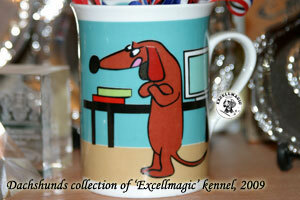 Birthday present to me from my best friend Stasia Bibik. 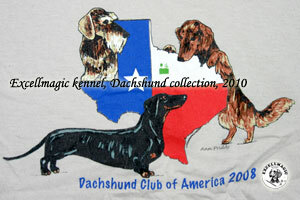 2007 This one is a present to me from my friends. 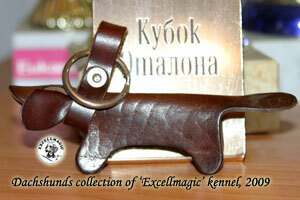 This one is a present to me from Ludmila Kuzmina. 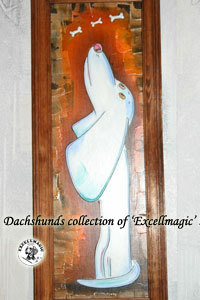 2005 This one is a present to me from my friends. 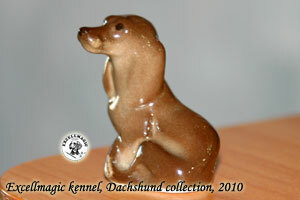 2006 This one is a present to me from my friends. 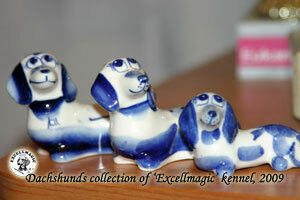 They are a present to me from my grandmother. 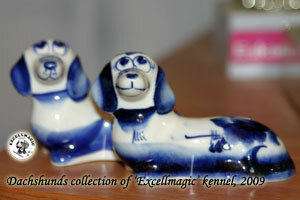 2002 & 2007 This one I bought in St.Peterburg, Russia. 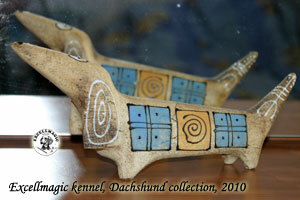 2007 This one I bought in Wien, Austia. 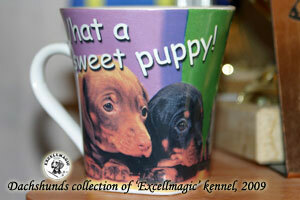 This one was a Birthday's present to me from my sister. 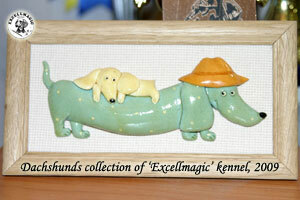 2007 Spesial present to me from Clare and Kath Bethel. 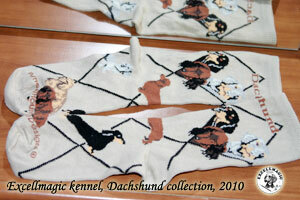 2008 This one is from Kiev, Ukraina.